We believe that sustainable progress for Phil Gilbert Hyundai's future is driven by our people and we are incredibly lucky to have so many wonderful people who form the fabric of our business. We couldn’t do it without our brilliant team. You’re invited to watch the video below which is a glimpse inside to our fantastic team and many of the heroes that make Phil Gilbert Hyundai the place that it is! Did you know that you can also follow Phil Gilbert Hyundai online via our Social Hub? Phil Gilbert Hyundai is proud to be an automotive leader in our community and is now located at two convenient locations in Sydney’s motoring hub on Parramatta Road – in Lidcombe and Croydon. Since opening our doors in Croydon in 2005, Phil Gilbert Hyundai has maintained our solid commitment to our customers, offering the widest selection of vehicles and ease of purchase. Whether you are in the market to purchase a new or used vehicle, require vehicle servicing or if you need financing options, at Phil Gilbert Hyundai we will help you with all your motoring needs. You can trust that we will professionally fit you into the automobile of your choice. Phil Gilbert Hyundai has a professionally managed Service and Parts Departments open Monday through Saturday to accommodate our customers' busy schedules and, we offer competitive pricing for your automotive maintenance needs. Please feel free to contact us on 02 9716 1300 (Croydon) or 9735 8400 (Lidcombe) if we can assist you in any way. 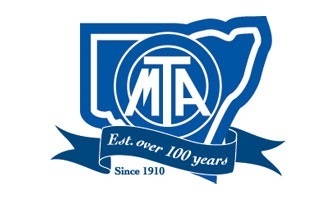 Phil Gilbert Hyundai is a proud member of the MTA. To look after our Staff, who look after our Customers, and in turn look after our Stakeholders.